I am so, super excited to finally release the first dates for my vegan & gluten free baking workshops! It has been a bit of a struggle to find a suitable space, so I've decided to invite you to come and bake with me at home. 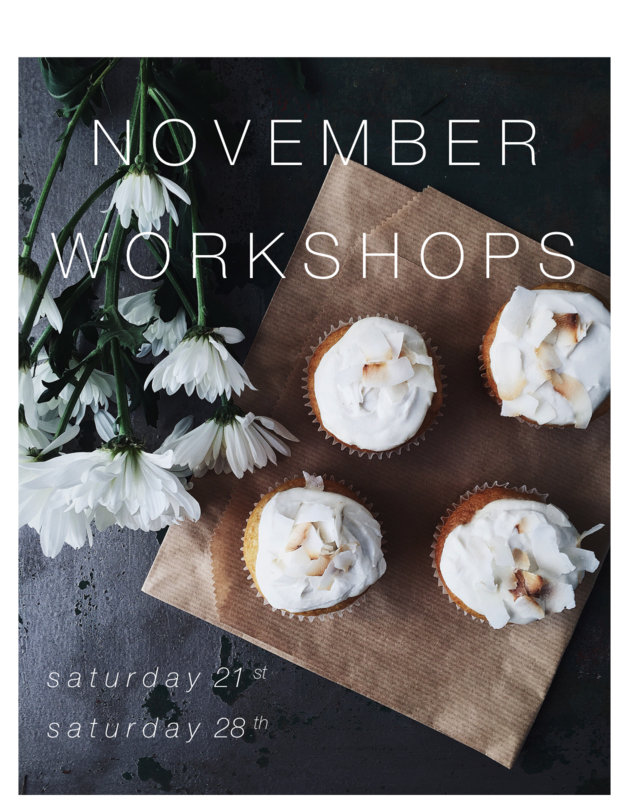 It will still be a completely hands on and interactive workshop, where everybody will get the opportunity to bake a dozen of their own goodies to take home. There will be two workshops in November, on the 21st and 28th. Space is limited to six people per workshop with plenty personal attention in a relaxed atmosphere. My hope is that you will leave feeling confident to continue experimenting with vegan and gluten free baking in your own kitchens. I can’t wait to bake with you!